Getting to Blue Skies starts with getting yourself to the intersection of (Ontario) Highways 7 and 509. 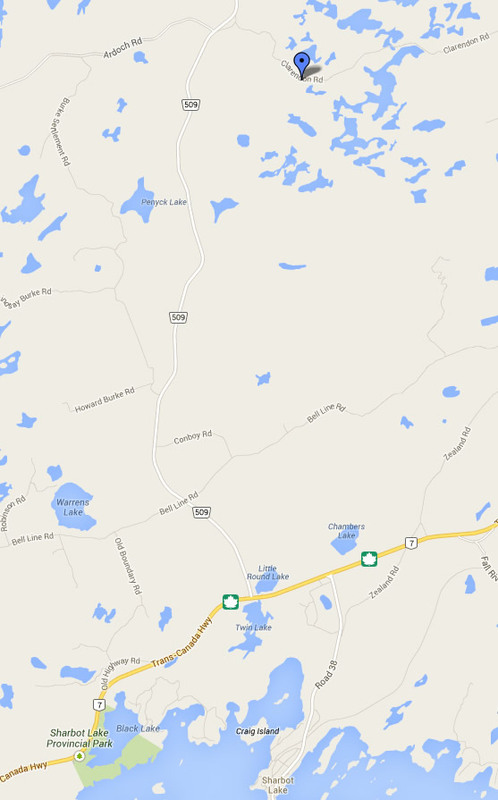 We are located near Clarendon, Ontario, 9.5 kms north of Sharbot Lake on Hwy 509. Sharbot Lake is approximately 90 minutes from Ottawa, 3 hours from Toronto, and 4 hours from Montreal by car. Take your time and arrive safely!